I think I may be a victim of securities fraud, what do I do now? Call The White Law Group, LLC at (888)637-5510. If you prefer, you can fill in the email form on the right of the screen and someone from our office will call you to talk about your situation and see whether we can help. How do I know I have been defrauded or am a victim of stockbroker fraud? Your broker fails to return your calls. You don’t understand the transactions on your statements. Your broker fails to disclose important information regarding an investment purchase. Your broker begins trading in high risk and speculative investments. You are paying capital gains taxes when your account value is decreasing. You find transactions on your account statements that you did not previously authorize. As a guideline, if you are retired and have lost more than 15% of your account in a single year or have suffered large losses in a single security, you should have someone review your account to determine if the investments selected by your financial professional are in keeping with your investment objectives. Offering separate clients contradicting advice. Advising clients to continue an imprudent risk. Advising out of a conflict of interest (including because the advice is motivated by profit). What type of things can’t a broker do? Make recommendations for the purchase or sale of a security that is not suitable for you, given your age, financial situation, investment objectives and investment experience. Purchase, sell or remove securities in your account without notifying you first. Switch you from one mutual fund to another with no legitimate reason. Intentionally misrepresent or fail to disclose material facts concerning an investment. Charge a customer excessive mark-ups, markdowns or commissions. Guarantee you stock will not lose money or make specific price predictions. Engage in a private securities transaction with you or other customers. Use any manipulative, deceptive or other fraudulent tactics. What are the duties that my stockbroker and brokerage firm owe to me as a customer? Stockbrokers and brokerage firms owe a duty of care and loyalty to their customers. The broker must use the standard of care and diligence needed to protect the customer’s interest. Failure to fulfill that duty may constitute negligence or malpractice by a broker. The duty of loyalty requires that the broker refrain from self-dealing and place the interests of the customer first. A source for tension and potential for conflict of interest may arise given the brokers’ typical method of compensation through commissions on sales. This may tempt some brokers to overtrade or churn the account to generate commissions. A broker also has a duty to follow the instructions of the customer and to execute orders promptly at the best available price. Unless the customer has given the broker written, discretionary authority over the account, the broker may trade only after receiving prior authorization from the customer. The stockbroker has a duty to disclose all material facts relating to proposed investments and not to make any misrepresentations. In particular, a broker has a duty to disclose the risks of any proposed investment. A broker has a responsibility to learn about the customer’s profile and the investments being recommended, and to only recommend securities which are suitable for the particular customer in light of the customer’s investment objectives, financial circumstances, level of sophistication, and risk tolerance. A brokerage firm also has a duty to reasonably supervise their brokers in order to enforce compliance with securities laws and to prevent violations. Many of our clients, before engaging our services, have met with brokerage firm representatives in an attempt to resolve their problems. We have seen many instances where clients, prior to engaging our services, have first corresponded with their brokerage firm’s legal department. Our impression from these clients is that they feel that those efforts were wasted as was the time expended. Often these brokerage firms conduct an “investigation” and then report back to these clients that based on their investigation they have determined that the brokerage firm did not act inappropriately. Just because the brokerage firm determines that they acted appropriately does not necessarily mean that you do not have a case. You should still consider having a professional review your investments and particular situation to determine whether you have a claim. How do you decide which cases to pursue? The amount of the loss as it relates to the investor’s liquid net worth (“nest egg”). 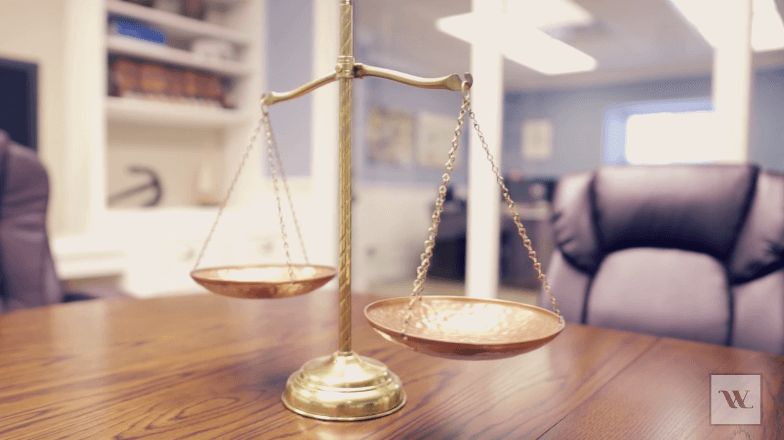 We evaluate each case to determine the suitability profile of the potential client, the amount of money lost and the solvency of the broker-dealer in question. There is no charge to call and speak with the Firm about your case to determine if we feel further analysis is warranted. If you think you have a claim, you should consult a knowledgeable attorney who has experience representing investors. There are many lawyers that offer free consultations without any obligation. If you decide that you should pursue your claims in court, you should hire a lawyer to represent you. Most attorneys have handled hundreds of cases, and have a good perspective of which cases will be successful, and what it takes to win. Yes. Filing your claim sooner increases your chances of a recovery because, information and witnesses are more available and recollection of the events is often better. Furthermore, and significantly, if a case is not timely filed, the broker gains certain legal defenses that could bar your claim. These defenses are commonly referred to as Statute of Limitations defenses and while FINRA jurisdiction can extend for as long as six years, there are some causes of action as short as one year. Contacting a lawyer about your claim as early as possible is important. Virtually every brokerage firm in the country includes what is referred to as an “Arbitration Provision” on the back of the forms you sign on the day you open your account. Generally this provision provides that if you have a dispute over your account, including any claim for damages for losses, you waive your right to go to court and further agree to arbitrate your dispute before either FINRA or one of the exchanges, like the NYSE. The good news is that arbitration is generally faster and less costly than court litigation. Most arbitration panels are comprised of 3 members, two of which are deemed public arbitrators and one that is considered an industry (generally the industry arbitrator is a current or retired financial advisor or branch manager). At the final hearing, after your case is presented and after the defense has presented their case, the arbitration panel will make a determination if you are entitled to any recovery, and if so, how much. Many securities cases do settle. In some situations, the parties agree to mediate their dispute prior to the arbitration hearing. Mediation is a voluntary process utilizing the services of an independent third party who attempts to facilitate a settlement between the parties by analyzing the strengths and weaknesses of the respective party’s case and offering his/her opinion on what the eventual outcome may be at arbitration. Mediation is a settlement conference held prior to trial. Both sides, along with their lawyers, appear before a mediator, who is typically a retired judge or lawyer, or an expert in the securities field. The mediator’s role is to hear both sides of the argument and to attempt to resolve the conflict between the two parties. Mediation is voluntary and all information divulged during the mediation process is confidential. Mediation is an opportunity to attempt to voluntarily resolve the dispute before leaving it up to the arbitrators to decide. While this can vary from case to case, in the most general sense, cases are resolved 12-18 months from the time they are filed. Was investing in a variable annuity suitable for you? If you have answered yes to any of these questions, a variable annuity may not have been a suitable investment for you. Was investing in B share mutual funds suitable for you? How long do you plan to hold the fund? The size of your investment? The expenses that you will pay for each different class of shares? Whether you qualify for commission discounts? While Class B shares do not impose front-end sales charges they do charge higher expenses in the form of 12b-1 fees and other charges to investors that are assessed over the lifetime of the investment compared to Class A shares. Additionally, Class B shares impose withdrawal fee which the investor pays if the shares are sold within a certain number of years (this fee is between 4-7% depending on the fund family). Accordingly, B shares may be inappropriate if your investment objective was to maintain liquidity for a future purchase or for future income. Where do I file my case if I live outside of the United States? FINRA (formerly NASD) Rules governing the jurisdiction of brokerage firms require international clients with brokerage accounts with a FINRA-registered firm to submit to jurisdiction in the United States. According to the Securities Arbitration Commentator, a periodical publication which has studied the statistics of securities arbitration cases, 80% of all customer cases settle in favor of the investor prior to the rendering of an arbitration award. Over half of the remaining 20% that do not settle prior to arbitration result in an award to the customer. What is “selling away” and can my brokerage firm be held liable for my financial advisor selling me an investment not approved by my brokerage firm? What is a Unit Investment Trust and was my investment in a Unit Investment Trust suitable for me? A Unit Investment Trust (UIT) is a US investment company offering a fixed (unmanaged) portfolio of securities having a definite life. UITs are assembled by a sponsor and sold through brokers to investors. A UIT portfolio may contain one of several different types of securities. The two main types are stock (equity) trusts and bond (fixed income) trusts. Unlike a mutual fund, a UIT is created for a specific length of time and is a fixed portfolio, meaning that the UIT’s securities will not be sold or new ones bought. UIT’s are also one of the highest commission products sold by financial advisors. UIT’s can be inappropriate for you if your investment objective is present income because any income is paid at the end of the UIT investment. A UIT can also be inappropriate in volatile markets because (unlike mutual funds or managed money) the investments that comprise the UIT are not bought or sold, but rather remain constant throughout the life of the UIT. Accordingly, in a volatile market, a UIT is at the mercy of the market and its volatility, and it is difficult, if not impossible, for the investor to adjust their investments to account for the changed investment climate.